Could Le'Veon Bell join the Eagles? 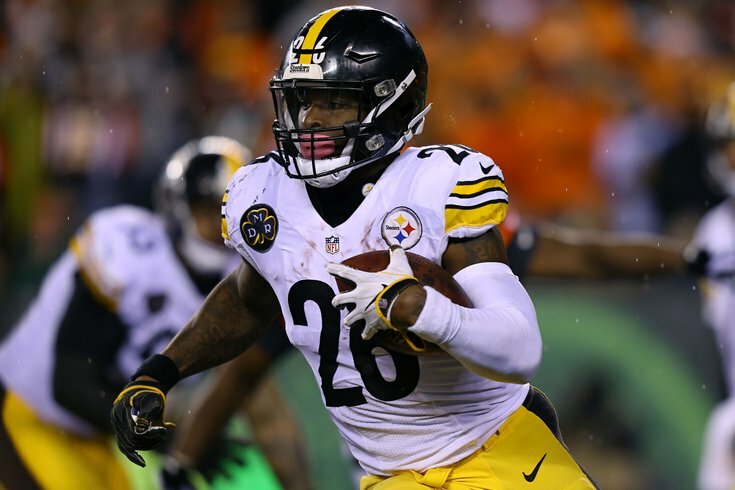 Odds are, you already know that the Steelers have made All-Pro running back Le'Veon Bell available for trade. You may also know that Bell, who still hasn't reported to the team after they placed the franchise tag on him for the second time rather than sign him to a long-term extension, has named the Eagles as one of the teams he expects to hear from this offseason. And, if you're an Eagles fan, then you've probably heard that the Birds are reportedly interested in trying to acquire the running back's services sooner rather than later. On the field, it's obvious what Bell, who's accumulated over 3,800 yards from scrimmage and 20 total touchdowns in the last two seasons alone, would bring to the table, even with Jay Ajayi and others already on the roster. There's no need to waste time discussing all of that here. The Eagles' reported interest in Bell seems to be increasing every day. And on Wednesday, Jason La Canfora of CBSSports.com wrote that the Eagles "have been mulling the potential of a Bell trade for a while now." So what is Howie Roseman waiting for? Well, for starters, the Eagles would have to do more than a little maneuvering just to be able to fit Bell's current contract onto their roster. And over at former ESPN analyst John Clayton's new site, former NFL agent Joel Corry put together the best and most comprehensive post I've seen so far on what the Eagles must do to acquire Le'Veon Bell ahead of the October 30 NFL Trade Deadline. One way to do that, Corry points out, would be trading Nick Foles, which would create enough room and then some, leaving the Birds close to $1 million under the cap for 2018. Moreover, Foles is on the books for next season at around $20 million, meaning a trade would also clear up some space for the future as well, which the Eagles would need if they hope to keep Bell beyond 2018. If there's not a ton of interest from other teams in acquiring Foles, the Eagles could also look at restructuring Fletcher Cox's contract, according to Corry. And that's only the first step for the Eagles, although it may ultimately be the most difficult one in attempting to acquire Bell. When it comes to what the Birds would have to give up in order complete a trade for the star running back, it may actually be less than you think, especially with what the Eagles potentially stand to gain in this deal. Currently, the Steelers are looking for a second-round pick, plus something else (another pick or a player). And before you say that's a lot for a potential rental player, consider this: Roseman has two second-round picks in the 2019 draft, and if the Eagles are unable to re-sign Bell for whatever reason, they'd likely get a third-round pick as compensation for losing him to free agency. Wulf: What kind of compensation do you think would be appropriate? Banner: You know, the stories that are out there that they’re looking for a (second-round pick)-plus make sense to me. I can’t really see (the Steelers) trading him for less than that. It is gonna create some internal problems in terms of precedent that they’re gonna set. So, who knows. At some point, they may be desperate enough to take less, but I would be surprised if something in the two-plus, and two-plus could be a two and a player who can contribute but isn’t a solid, difference-making player, or a two and maybe a later pick like a five or a six or something. But if I had to guess, and I think anybody has to look at him as kind of a one-year rental, it would take something in that range to get him. And at that point, for me, it’s kind of enough of a benefit for the Eagles to think about it seriously. If it got less than that, jump at it. And if it was more than that, I’d probably pass. Wulf: It does seem like a lot for just half a season of a running back. While acquiring a Pro Bowl running back seems like a slam dunk, it's not such a straightforward deal. A lot of work needs to be done before the Eagles can even fit the Steelers running back on their roster. And from there, Roseman would need to work some magic in order to make sure his team is the one that lands Bell.